Owing to the raw materials and modern machinery used in its making, the offered Power Steering, and Hydraulic Pump Testing Machine has a robust construct, long life, high resistance to corrosion and an impeccable performance. This product is made available to clients in a number of specifications and at the best price possible, making it one of the first choices in the market. 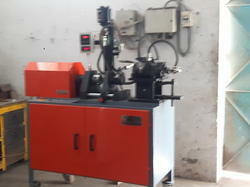 Looking for Power Steering Testing Machine ?